Greetings beekeeping friends! It has been a very fast paced season and it is hard to believe we need to start thinking about winter preparation. The key to winter survivability is strong healthy bees. Winter bees rearing will be starting in few months from now, so it is imperative to get the varroa under control. There has been an outbreak of yet another honeybee virus in our area this year (See message from Trom Sotiridy below) that can be vectored by the varroa mite. 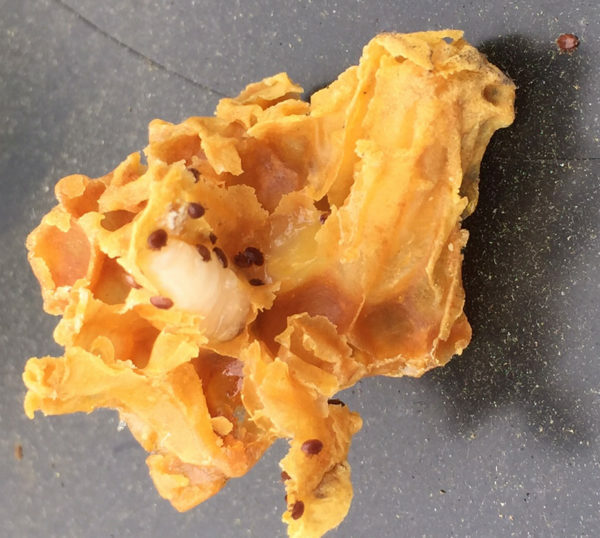 It also appears that the virus can propagate through the hive with low levels of varroa that would previously be thought of as acceptable if other stressors are present. We strongly recommend everyone treat their hives in August to be best prepared to go into winter with the strongest hives possible. The key to sustainability is getting your bees to survive the winter. As much as we all would like to be treatment-free, it is not something that happens overnight. We are encouraging everyone to treat with formic acid in August to reduce the varroa presence in the hive and allow the bees to brood healthy and strong bees for the winter. We will be reviewing the details of treating with formic and walking through the steps involved. We will also have open discussion, so bring any questions or topics you want to talk about. 6. Weird feeding locations from healthy Bee to sick bees such as on top of inner cover. 9. 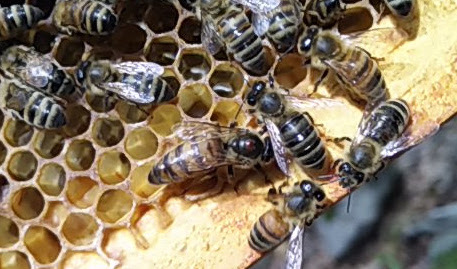 Queen less hives acting as though they are fine. 11.lack of drone brood in severe infection. 13. Disease is passed by feeding from Bee to Bee and Bee to larvae. 14. Old treatment was terramycin which you can no longer get. 15. I am using colloids such as silver, mycelium, and bacteria to treat hives. Do not have empirical data on this, but seems to make hive rebound quicker as opposed to those not treated. 16. Seems to affect recently swarmed hives, daughter Never seems to start laying or starts in 30 days. Requeening is recommended. I have not previously seen this disease, have studied with the Bee wellness team, who incidentally are unaware of the out break, run close to 100 hives, and am a fairly adept beekeeper, and was taken fully off guard. In the interest of the bees, we decided to start an inspection team. We have 5 trained inspectors who are available. The service includes a full inspection of the hives, optional formic flash treatment, and suggestions for care if you choose to treat for the virus. It is done on a donation basis with the proceeds going to the Bee Improvement research apiary here in Gardner. I have seen this in over 100 hives in the last 2 weeks, in all different locations in the 3 counties of Orange, Dutchess, & Ulster. You may have it, should do a formic treatment immediately, especially if you have any of the above mentioned symptoms. If you would like to schedule an inspection please go to beeimprovement.com and send a message. 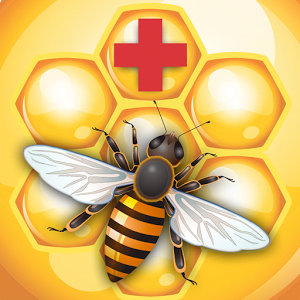 The Bee Health app is based on current scientific knowledge to address honey bee diseases and pests. It is a handy resource to help beekeepers and other users to detect, diagnose, manage and treat honey bee diseases and pests. It includes pictures and treatment options which will aid beekeepers in adopting appropriate pest management practices. Thus, beekeepers can improve bee health and enhance on-farm food safety and biosecurity practices in their operations. Download the free Bee Health app from Alberta Agriculture and Forestry today. To find the app, search App Store or Google Play store for “bee health”.